We chat with EA about the bald one's return, new control schemes, and what Natasha "Species" Henstridge brings to the game. Kikizo: How does the new radial interface differ from the interface that debuted with Command & Conquer 3: Tiberium Wars? Do you consider that interface a success? Vessella: We couldn't be more excited about the radial interface. The new system allows for players to easily control their build queues, powers, and abilities by simply guiding the left-analog stick. Players can now manage unlimited production queues from anywhere on the map, so no more scrolling around the battlefield searching for that second or third War Factory. While we were happy with the control advances we made in Tiberium Wars, we feel that our new radial interface take RTS-on-console controls to another level. With the new interface, previous actions that would take a dozen clicks of the controller are now accessible with a couple clicks. You'll be amazed by the increase in speed and accessibility, and overall it allows players to focus on the battlefield action instead of managing their base. We're always looking for ways to improve our control systems, and we're just privileged to be the pioneering RTS team on console. Kikizo: How do you go about testing whether the console controls work the way you want them to and are easy for players? What sort of focus testing do you do, and at what point can you say it's ready? Vessella: We go through extensive play-testing with both external focus groups and internal teams at EA. Our primary goal is to make the controls as accessible and intuitive as possible, and we think the radial interface is a revolutionary step in this direction. The green light to us is when a newcomer RTS gamer can sit down and have a great time with the game, without being hampered or frustrated by the controls. We've seen this on several occasions during our testing, and we hope every console gamer has the same experience when they play Kane's Wrath. Kikizo: You say the game adds a "new global strategic layer" to the game. Can you go into more detail on how this will be done? Vessella: One of the new features we have in Kane's Wrath is the Global Conquest Mode, which allows players to strategically manage their armies from a global level. 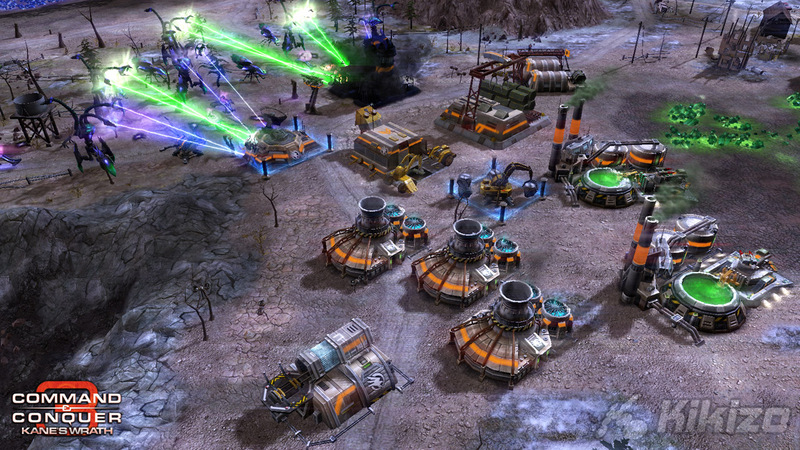 There are no territorial borders, so players have much more freedom as to where they construct bases and position their Strike Forces. Bases can be upgraded and enhanced, increasing their economic benefit and unlocking an arsenal of Global Conquest-specific support powers. Strike Forces are completely customizable, allowing players to create that perfect combination for each situation. 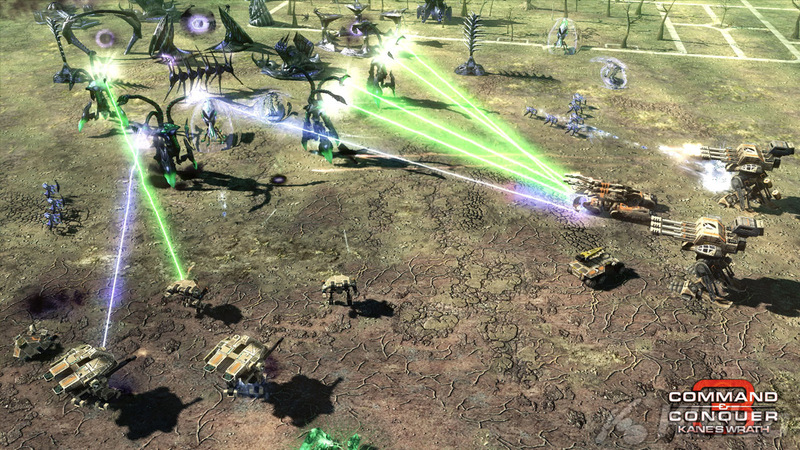 Each faction also has unique victory conditions, different from those of other factions, allowing for even more replayability. We're hoping players find the Global Conquest Mode a great addition to Kane's Wrath. Kikizo: What can you tell us about the new vehicles/units that players will find in the expansion? Vessella: Each faction will receive some awesome new units in Kane's Wrath. On GDI, players can expect some old classics such as the Titan and Wolverine. Other examples include Sonic hover tanks, the garrisonable Hammerhead Gunship, and the splash damage-based Zone Raider. 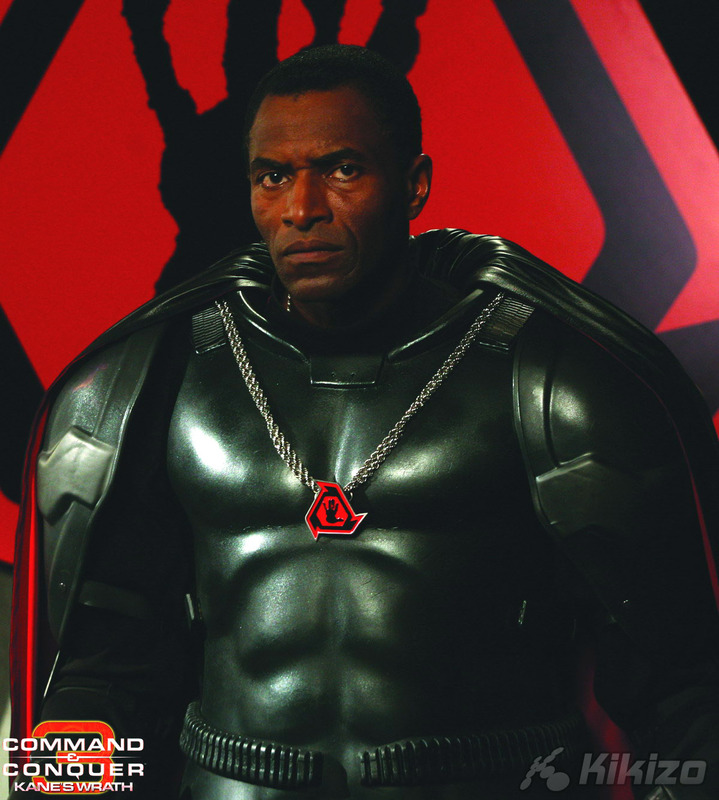 Of course, it wouldn't be Kane's Wrath without some cool toys for Nod. They've recruited the stealthed Specter Artillery, the Mantis anti-air tank, and several Cyborg units. To help bring Nod infantry into the late game, Nod also receives the Reckoner, which is a deployable APC with several garrison slots. The Scrin have some of my favourite new units, including the Cultist and the Mechapede. The Cultist is a Traveler-59 subfaction exclusive unit that can mind-control enemy units, and unlike the Mastermind, players can have unlimited Cultists running around simultaneously. The Mechapede is a customizable vehicle that starts with just a head, but can grow up to eight weapon segments of your choosing. You've never seen anything like it! On top of all this, each core faction will also feature its own Epic Unit, a first for C&C. Epic in both stature and game-changing potential, these units give players another weapon in their arsenal to wreck havoc upon their opponents. Kikizo: Will you be offering a demo of the game again? 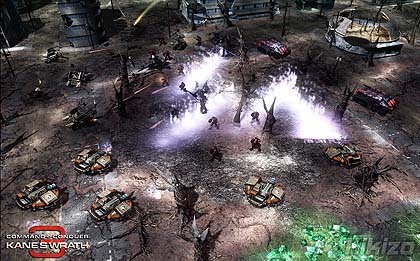 How did this help you for Command & Conquer 3: Tiberium Wars, especially on the Xbox 360 side? Vessella: We are not planning a demo on the PC, but we are definitely pursuing a demo for the Xbox 360. Because RTS games are relatively new to consoles, we want players to have the opportunity to try out this amazing genre, and to try out the new Radial Interface in Kane's Wrath. Stay tuned for more details in the weeks to come! Kikizo: Is this it for the current version of the engine or are you already working on more expansions? Vessella: We will definitely be supporting the game with patches, but we haven't announced any plans for future expansions. Right now, we're just focused on making Kane's Wrath the best C&C expansion possible! Kikizo: Is there anything else you'd like our readers to know? Vessella: We've tried to make the development of Kane's Wrath a true collaboration between the fans and the developers, and we hope fans see their influence in the final product. Also, by purchasing the PC version of Kane's Wrath and registering it online prior to September 15th, gamers will be guaranteed a spot in the Red Alert 3 Beta. This is the best opportunity that gamers will have to get their hands on one of the year's most anticipated titles. We couldn't be more excited about the launch of Kane's Wrath, and we can't wait to see everyone online! 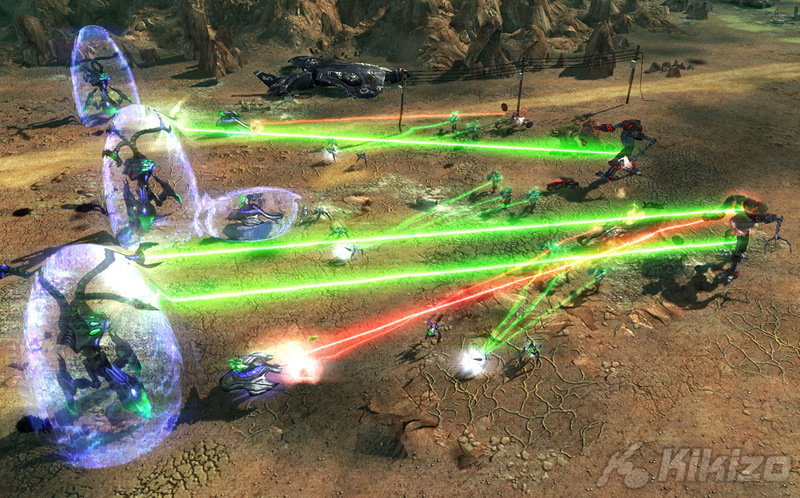 Command & Conquer 3: Kane's Wrath is out now for PC and will be released on Xbox 360 this summer. For more on the game, visit www.commandandconquer.com.